Kanak is one of Houston’s most respected and successful doctors. Neil is the charming Head Boy from St. Teresa’s and her first childhood crush. Fate had reunited the two young lovers during their medical residency at the Baylor College of Medicine. In a life that had an extraordinary ability to leave her unfulfilled, Neil and her Pa, Keshav, were the only two men who had brought peace and happiness to the motherless Kanak. They had supported her, applauded her, and held her close through the turns of life. Rukhsar is the beautiful twenty-four-year-old daughter of Barqat Malik, the noor of her Abbu’s eyes. Ashar is the handsome lover, who yearns to make his Rukhsar smile. Unlike Kanak, Rukhsar did have a caring Ammi. She also had and a proud Abbu. However, she was eager to cast them off, along with the traditional values that she was expected to represent. Ashar was the only thread that still reeled her in, but even that could never be enough for a girl who just wanted to fly away. 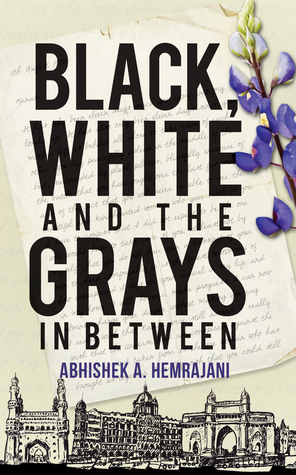 Black, White and the Grays in Between is an emotional saga of hope, betrayed dreams, and the endless shades of gray. Set across three generations and three cities - Houston, Hyderabad, and the Bombay of the ‘70s - this is a story about love that is often selfless and self-doubting, and the unexpected virtue of listening to your heart. Giveaway ends June 27, 2016. Abhishek A. Hemrajani holds an MBA from the Indian School of Business, and a Master’s Degree in Engineering from the University of Texas, Arlington. He spends most of his time thinking about this universe and the endless, small but enormously coherent actions that influence our destiny. When he is not critiquing the many vagaries of life, he can be found experimenting in the kitchen or obsessing over anything related to technology and aviation. Abhishek was raised in Mumbai, India and spent most of his twenties in Dallas, Texas. The idea of this book has traveled and lived with Abhishek for many years. Abhishek attributes his writing style to the strong influence that Khaled Hosseini, Paulo Coelho, and Gabriel García Márquez have had on him. 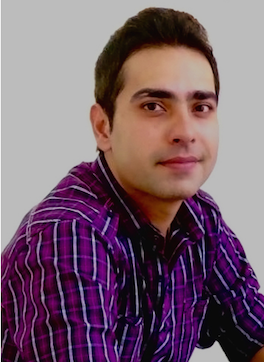 Abhishek lives in Hyderabad, India, and is currently a Product Manager for Microsoft. This is his debut novel. 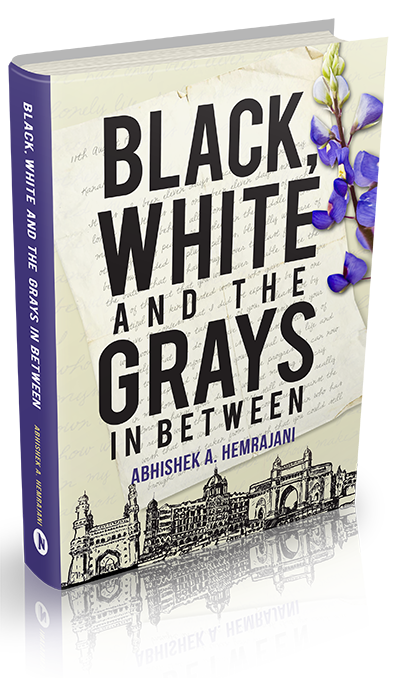 Please subscribe to receive updates from Abhishek A. Hemrajani, and the Black, White and the Grays in Between journey. You can remove yourself from our list at any time, and we will use your email address only for our mailings. Once you Subscribe, you will receive an email with a confirmation link; click the link and you’re all set. © Abhishek A. Hemrajani, All Rights Reserved.